There are many things that make North Carolina a great place to live. For starters, just go outside and look around. This is one of the most beautiful states in America; from the mountains to the Piedmont to the coast, we’re spoiled for splendor. We’re also lucky that North Carolinians have a generosity of spirit to match the beauty that surrounds us. People here care about each other, they lend a hand when they see a need. Our state has a network of nonprofits that are devoted to serving our communities, working every day to improve the quality of life for all who live here. The employees and volunteers of these nonprofits aren’t motivated by praise or money or glory. They are called to serve and they respond to the call. They don’t ask for our gratitude, but during November each year – our Month of Thanks – Blue Cross and Blue Shield of North Carolina turns the focus onto some of the organizations and people who have earned our thanks by working every day to help those in need. And when they help any one of us, they help all of us. For North Carolina to thrive, all who live here must thrive. Victory Junction, based in Randleman, enriches the lives of children with chronic medical conditions or serious illnesses by providing life-changing camp experiences that are exciting, fun and empowering in a medically-safe environment at no cost to campers or their families. Read more here. Lakewood Preschool Cooperative in Charlotte is a neighborhood-based preschool and family support program, designed as a cooperative effort among family members, staff, neighbors and volunteers, working together to prepare our children for successful entry and performance in the public school system. Read more here. 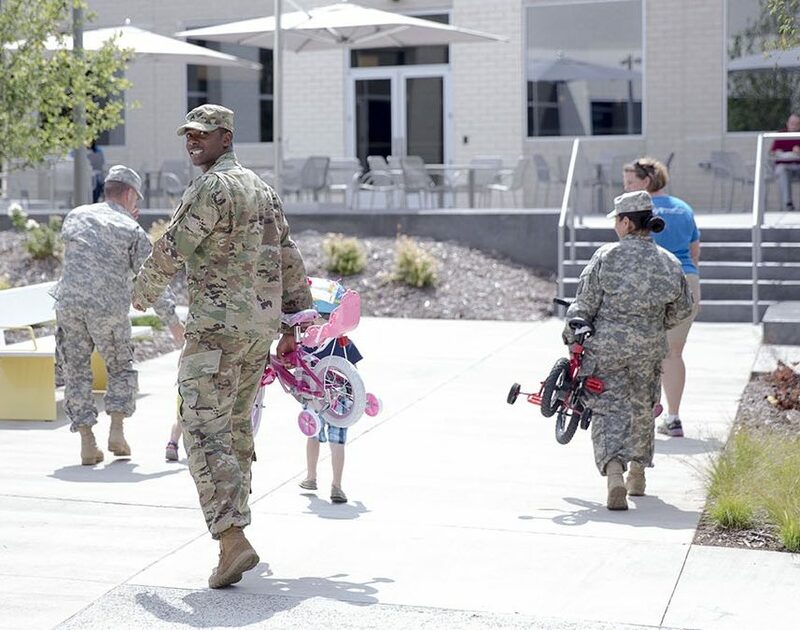 The USO of North Carolina is the lead organization charged with supporting military servicemen and women in our state, serving an average of 650,000 each year with deployments and homecomings, care packages and other supports. Read more here. The North Carolina Senior Games is a holistic approach to body, mind and spirit staying fit, while enjoying the company of friends, family, spectators and volunteers. The organization offers a year-round health promotion and education program for North Carolinians at least 50 years of age. Read more here. To further their good works, we will present each agency with a donation of $5,000. We’re humbled to have the opportunity to publicly express our thanks to these nonprofits and we look forward to sharing their stories during November. Kathy Higgins is the vice president of corporate affairs at Blue Cross and Blue Shield of North Carolina (Blue Cross NC), overseeing all corporate communications and community initiatives. In addition to her corporate duties, she serves as president of the company’s independent charitable foundation, the Blue Cross and Blue Shield of North Carolina Foundation, and has led unprecedented growth, including the strategic investment of more than $110 million into North Carolina communities through more than 900 grants to improve the health of vulnerable populations, support physical activity and nutrition programs, and help nonprofit groups improve their organizational capacity. Among her many honors and distinctions, she has been named both an Eisenhower Fellow and Fulbright Senior Scholar, for which she was selected to study health care and philanthropy in New Zealand and Australia.